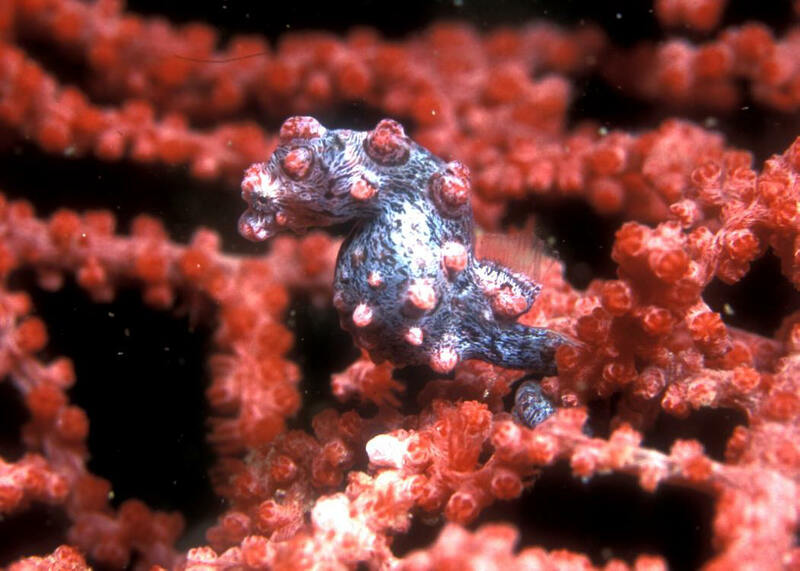 Hippocampus bargibanti Whitney 1970, the Pygmy Seahorse. Indo-West Pacific; Indonesia, New Guinea, New Caledonia. To 2 cm. in length. Only found on Muricella sp. Gorgonians that they match perfectly (only discovered after being found on collected sea fans!). N. Sulawesi photo of specimen about 1/4" tall. 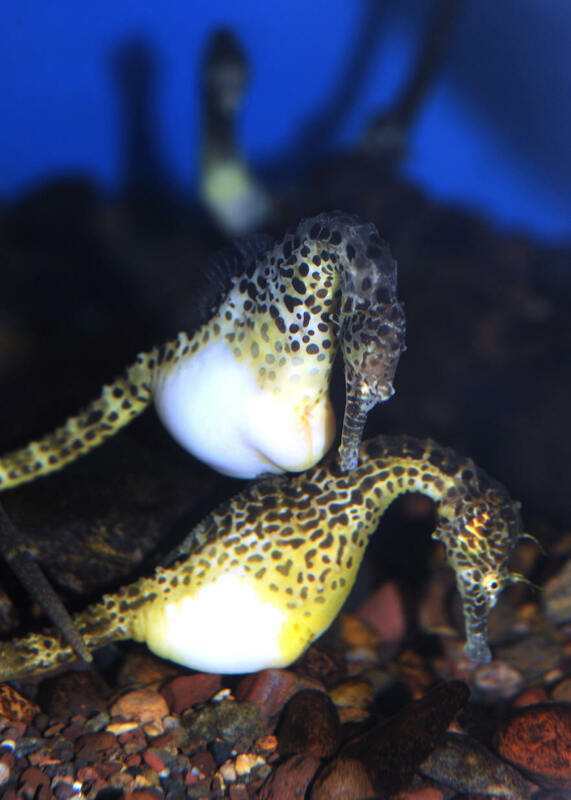 Hippocampus colemani Kuiter 2003, Coleman's Pygmy Seahorse. SW Pacific. 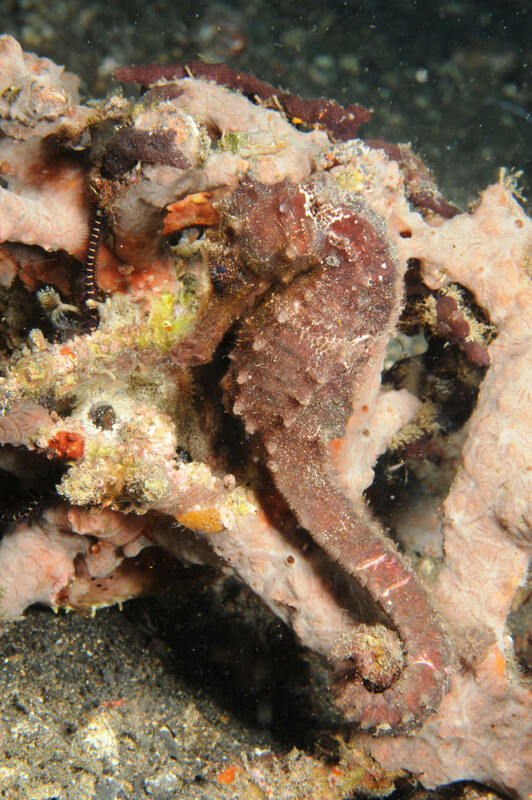 (provisional assignment... aka "Pontohi's" Seahorse in Sulawesi.). May be a different species altogether. S. Sulawesi pic. Now ARE separate species.